[Context and motivation] Choreographies are a form of service composition in which partner services interact in a global scenario without a single point of control. The absence of an explicitly specified orchestration requires changes to requirements practices to recognize the need to optimize software services choreography and monitoring for satisfaction with system requirements. 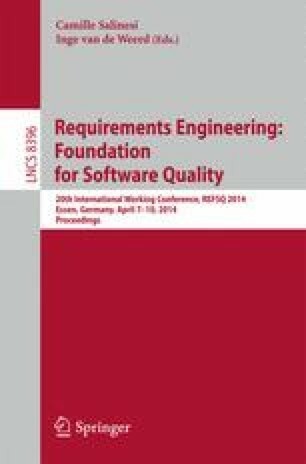 [Question/problem] We developed a requirements-led approach that aims to provide tools and processes to transform requirements expressed on service-based systems to QoS-aware choreography specifications. [Principal ideas/results] The approach is used by domain experts to specify natural language requirements on a service-based system, and by choreography designers to adapt their models to satisfy requirements more effectively. Non-functional requirements are mapped to BPMN choreography diagrams as quality properties, using the Q4BPMN notation, that support analysis and monitoring facilities. [Contribution] We report the new integrated approach and provide lessons learned from applying it to a real-world example of dynamic taxi management.